Dental implants are a surefire way to restore your smile, rejuvenate your appearance, and renew the way you feel about your look. However, understanding how the implant process works and just what it can do for you is crucial in making the decision to undergo this procedure. Learn more about more about dental implants by reading below, and contact Dr. Garrett Oka at Sweet Tooth Dental in Kailua Kona, HI, if you are interested in undergoing treatment! A missing tooth causes the bone below it to degrade during a process called bone atrophy, a problem that is prevented by dental implants. Additionally, implants fill in your gaps to boost your self-esteem and confidence to help you feel great about the way you look. Thanks to their design and materials, implants are permanent and non-removable, allowing you to go about your daily life and oral care plan just as you would with natural teeth. Dentists began using modern dental implants in the 1970s. However, evidence of this powerful dental procedure has been traced back thousands of years. Bone, animal teeth, and even stone have all been used in various ancient societies to replace missing teeth. By the 1800s, prosthetic teeth made from gold were implanted into fresh extraction sites, paving the way for the modern implant styles we see today. Dentists tested various materials in the 1960s, developing the titanium implant used now. Fixture: A dental implant’s foundation lies in its fixture, a small, titanium post that your dentist surgically implants into the jawbone beneath your missing tooth. Abutment: The abutment connects the prosthetic tooth to hold it in place on its fixture. Prosthetic: Made from porcelain, a prosthetic tooth is customized by a dental laboratory for each individual patient. 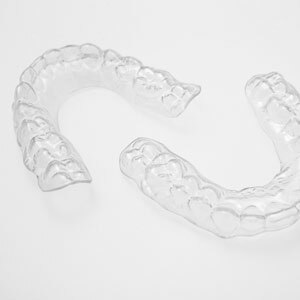 It looks just like natural teeth and will fit seamlessly into your smile. A good candidate for dental implants is in good oral and general health and able to, in some cases, undergo anesthesia to complete their implant procedure. They should also have sufficient bone volume in the area of the implant and a strong at-home oral care routine to keep their teeth and implants healthy and free from teeth decay and gum disease. Interested in implants? Call out Kailua Kona office today! Dental implants can benefit many patients in a variety of situations. For more information about this wonderful treatment, please contact Sweet Tooth Dental in Kailua Kona, HI, at (808) 329-0889.